KidloLand is an award-winning learning program for kids (1-7 yrs). Discover 2000+ educational songs, games, stories, nursery rhymes, and activities about Early Learning, Math, Reading, Writing, Coding and more! Your little one will learn and develop new skills every day. Join over 1 Million happy families worldwide! KidloLand assists your child to develop their learning skills through play! - Sing along with 400+ nursery rhymes and original educational songs with foot-tapping music. - Read interactive stories with good morals about animals, vehicles, shapes and more! - Play preschool games which enhance fine-motor skills, thinking skills, reasoning, and creativity. - Help your child become a future innovator with educational games that teach the basics of Coding. Why will children and parents love KidloLand? * Early reading stories, bedtime stories, fables, and animal stories. * Learning games for every toddler which will teach sorting, counting & spelling. Do your kids struggle with Math? Try KidloLand's Math mini-games! These preschool games make Math fun and easy to understand with cute characters and simple gameplay. Kids will learn counting, number sense, shapes, sorting, etc. easily. Complete all levels of coding games where kids will learn concepts like simple sequences, sequences and loops. Coding is a key component of STEM learning for kids and KidloLand makes it FUN! * Funny animations and sounds make each experience a delight for kids. Unlike videos & shows, which kids can only watch, KidloLand lets your kids play along with the characters on screen. * Certified safe for kids by the KidSAFE program. * Regularly updated with new content. "The best part about the KidloLand app? It reinforces the learning time you have with your children. I've noticed a huge improvement in my son's recollection and vocabulary since he began using an educational app in lieu of watching a video." - Mrs. Bottlesoup, Mom Blogger. - Two options: US $4.99/ month or the best value: US $39.99/ year. KidloLand is growing by leaps and bounds! Here's another HUGE update for you! We hope you and your kids enjoy all the new songs, games and stories. If you have any feedback or suggestions, write to us at support@kidloland.com. on the Apple...other than those 2 glitches... I have NO issues!!! As long as my toddler is singing, clapping, & dancing... I am a happy mom! 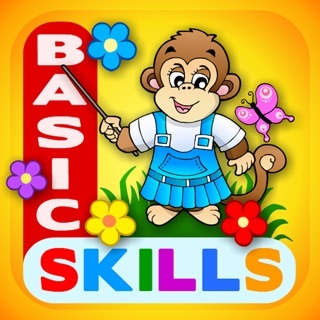 I do recommend this app to parents of toddlers... not only for the nursery rhymes, but for the lullabies, stories, abc, numbers, colors... etc... your child does learn a Lot from this app too!!!! Thank you very much. In case of any problems, just email us at support@kidloland.com and we will help you out for sure. My 9yr old lil daughter is autistic (the low functioning kind). She is amazing to me and I love her so very much and heck I love the KidloLand app too. This app entertains her challenges her calms her is an escape for her (like video games or tv for other kids her age) . This app actually teaches her how to navigate her devise. This is definitely the most outstanding extraordinary educational app for my special little girl! For real y’all I have more faith in this app than our school when it comes to educating my 9yr old princess. My 2 year old and 5 year old both LOVE KidloLand! There are so many different activities within it that they both can stay entertained for awhile! I love that it’s not just “keeping them occupied’ but it’s actually educational too. They both have learned so much from playing it. I also love that there’s something for both my son and daughter to enjoy. My daughter loves the fairytale section and my son love cars, trucks and anything with the alphabet, colors shapes, etc so there’s something for everyone! Thank you so much for the super review. We are so happy to know that both your children love KidloLand. We are making a lot of new content and need your feedback. 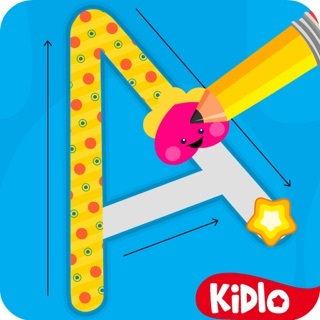 Pls email us at support@kidloland.com with any ideas you want us to make for the app. We will be glad to consider the same.